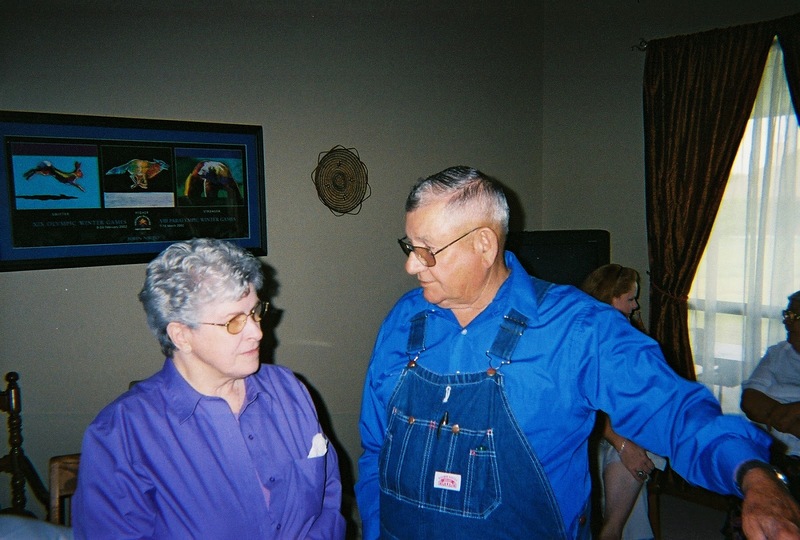 Carl Clark and Cheryn Ryan hosted a Fraze family reunion at their home in Guthrie, OK on June 16, 2007. This was Kathi’s family on her mother’s side and we got to see some relatives we had not seen in 15-20 years and some relatives I had never heard of before. 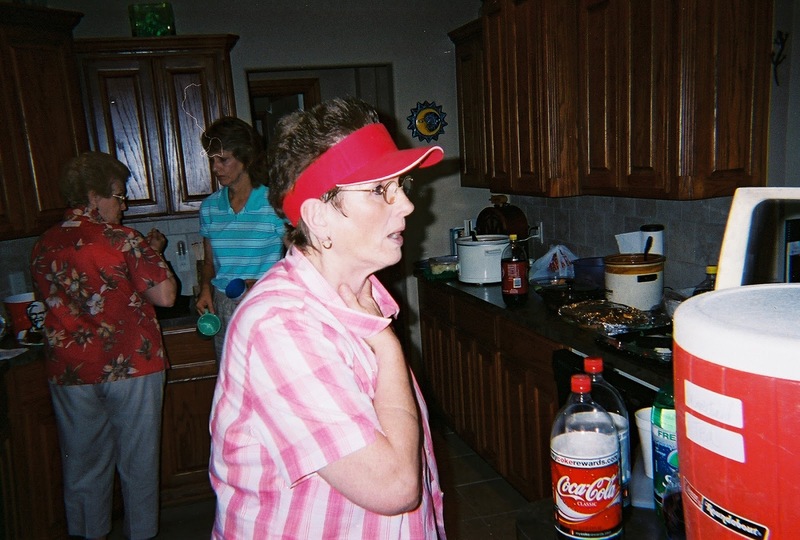 Many uncles, aunts and cousins Kathi did not know and never knew existed. Some we saw for the last time at the reunion: Violet Hickman, Rochelle Fraze, Bobby and Donna White and Alma Welch. Tom and Cheryl talking in hallway. Larry Clark on the patio, engaged in conversation. Larry having a good time. 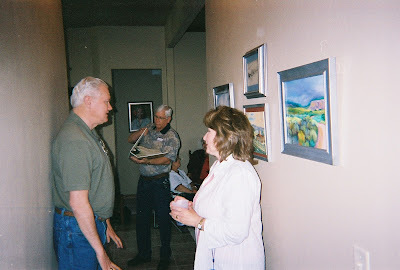 Others that attended were: Kathi’s mother Virginia Hathaway, Kathi’s younger brother Larry and his wife, Andrea, Tom Welch, Helen Watts and her daughter Cheryl and Wanda Greb and three of her granddaughters. 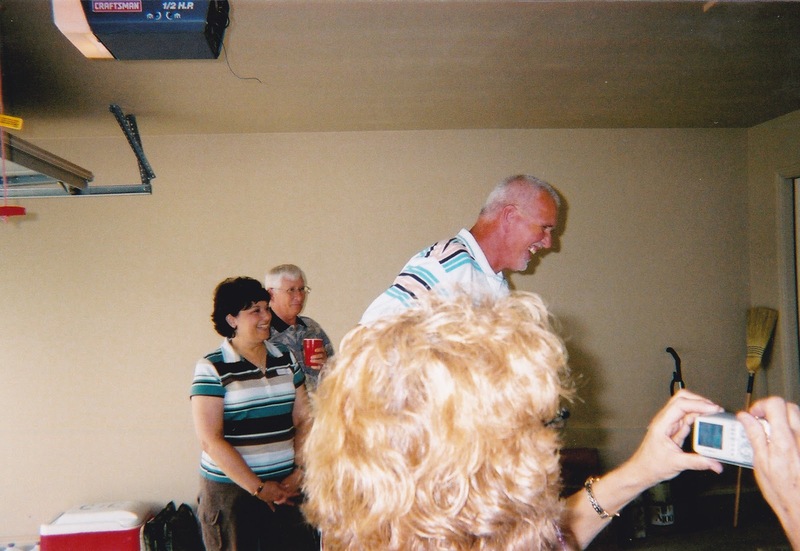 Carl and Cheryn did a great job organizing and were excellent hosts. Everyone seemed to enjoy the day catching up, socializing and eating a catered lunch. 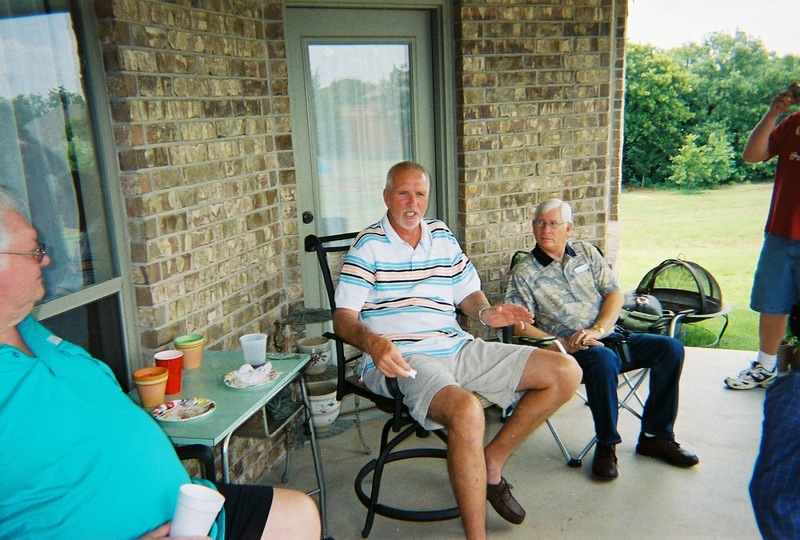 I spent a lot of time on the patio listening to family history and believe it or not we had a long conversation discussing the price of a bale of hay. Sunday, June 17th of 2007 was the day. Larry drove Andrea and Ginny back to La Porte, TX and Kathi and I struck out for Dodge. We stayed at the Watersports Campground in Dodge City. As near as I could tell the most prosperous thing about the town was a cowtown mock up filled with saloons. We did not visit any of them in the week we stayed there. I was glad my expectations were lowered before my arrival. We thought the $122 per week using our Good Sam discount was a reasonable rate for camping. We did enjoy the corn and wheat fields during the 240-mile trip on highways US 270, then US 183. We drove through Watonga, Woodward and Fort Supply in Oklahoma and through Ashland and Bucklin in Kansas before arriving at Dodge City. A pleasant journey with my best friend. We awoke tired on Monday morning. The 240-mile trip was further than we liked to travel and it took us about five hours. It was warm and humid in Kansas, so we stayed inside and rested. Tuesday we found a coin laundry and got all our clothing and bed linen clean again. We were through with laundry by noon and spent the rest of the day inside. We had a rainstorm and gusty wind in the early evening, so being home was pleasant. We spent the next few days driving through the countryside looking at corn and wheat fields and there were a lot of them. Not many people, but lots of crops. It was warm and we were already ready to move on again. We were anxious to get back to Montana. It was a lovely get-together. Thanks for posting and the walk back in time, Arlon! It was a fun day, Cheryn. Thanks for reading my travel blog.